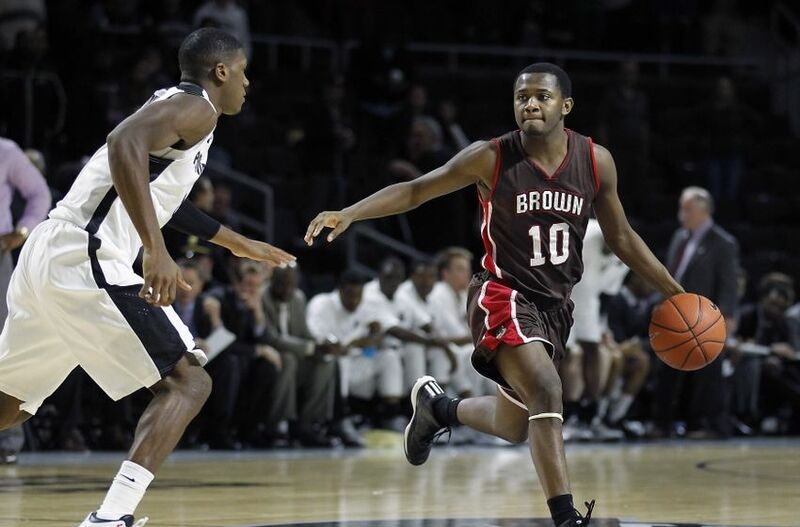 The Providence Friars were able to avenge last season’s unexpected loss to the Brown Bears last year by easily manhandling the Ivy League team at Home at the Dunk to stay undefeated on the young 2015-2016 season. Shooting an impressive 56.9% from the field for the game, the contest was never in doubt as the Friars were able to get contributions across the board, with 5 players finishing in double-digits for the game. I was at a housewarming party during the game, so I hope everyone didn’t care that we were watching a blowout of a game with no sound on as there were big college football games being played on Saturday night…oh well. Kris Dunn struggled for the second straight game from the field but was able to fill up the stat sheet once again, finishing with a near triple-double with 11 points, 10 assists, 7 rebounds, and 6 steals. It’s impressive how he can affect the game, even when his shots aren’t falling. Rodney Bullock recorded his first double-double on the year, providing that second scoring option that is so desperately needed for the Friars. He finished with 24 points (his 2nd 20 point game this season) and 11 rebounds on a very efficient 9 of 12 from the field. Bullock is now averaging 19.7 points and 7.3 rebounds per game so far this season…hopefully he can keep up something around those numbers as the season progresses. Ryan Fazekas played easily his best game of the season so far, raining down threes, going 5 of 8 from distance, and finishing with 17 points. That’s what I like to see outta the frosh. Through 3 games, Fazekas is shooting 46.7% from long distance which will continue to open up things for Dunn in the lane. The Friars dominated the boards for the second straight game, earning a 41 to 29 edge over the Bears. Providence was able to get to the line a ton in this game, holding a 29 to 19 edge in trips to the charity stripe. However, they struggled once again from the line and made only 16 of their 29 free throws (55.2%). Jalen Lindsey saw an uptick in playing time and dropped 14 points on an impressive 6 for 7 from the field. I continue to be impressed with his footwork on defense and his ability to stay in front of his guy on D.
Junior Lomomba was a perfect 3 for 3 from the field and rounded out the players with double-digits, chipping in 11 for the game to go along with 5 dimes. Tommy Planek looks like he’s getting those Ted Bancroft minutes this year. I kind of like how he got a foul so that he could have a stat for the game. So close to hitting the century mark on the game. Next Up, the Friars continue their homestand with NJIT at 6:30 PM at the Dunk.